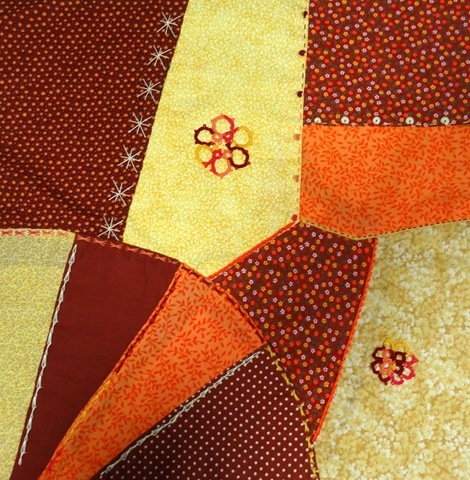 The stitch for Take A Stitch Tuesday http://pintangle.com/tast-faq/ was Sheaf Stitch. This was a fun stitch. 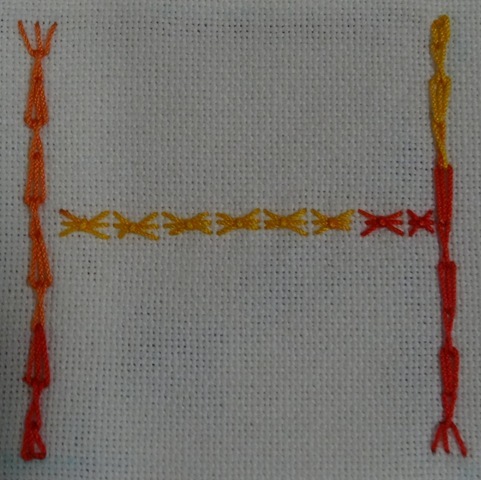 It is the horizontal stitch below. 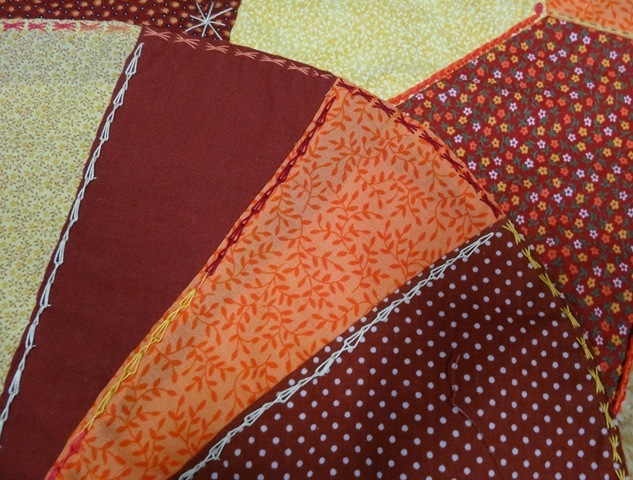 I used the Sheaf Stitch on the curved fan edge of my 4th quarter of my Crazy Quilt Journal Project block for August. I tatted a smaller flower to complete My Crazy Quilt Journal Project block for August. Eight blocks completed!